This is a recycled plastic stacking wormery that comes with 3 composting trays and a base unit for collecting the worm tea, when supplied with 500g of worms it is suitable for a family of 4 or 5 It is a compact system,each composting tray has a capacity of 16.5 litres. We have found over the years that the ideal capacity for a stacking tray is between 15 and 20 litres, anything bigger is very heavy to lift when full. 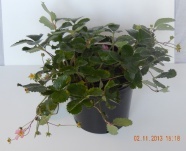 The basic 3 tray system is suitable for a family of 4 or 5. 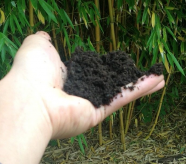 You can buy additional composting trays for £10.00, we recommend not using more than 6 trays per wormery. Each tray sits on the one below so the worms can work their way up and down. Although we think it is a great system as it stands, we sell it with a few add ons - we send you a fine mesh to put in the bottom composter to help stop worms falling through into the tray that collects the liquid. We also give you a cardboard square to put on top of the food waste to keep it nice and dark,the worms will eventually eat it and then you can replace it yourself. As well as the instructions provided by the manufacturer we send you our own additional hints and tips.Additional trays can be purchased if you are composting lots of food waste. 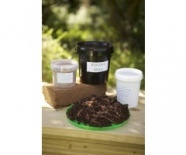 It is supplied with 500g of mixed composting worms in a tub with safe bedding. 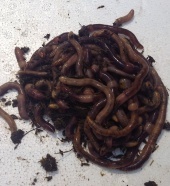 Worm tea is collected in the tray with a tap that is sited beneath the composters. 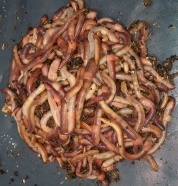 Supplied with 500g of composting worms in plenty of bedding.